distinctive their grounds stony argilo-limestone, with talk and hillside full Est. The vines have more than 45 years. Care with the vine with ageing on fair heating, until the setting: roots and zeal, enjoys to say Jean-Marc DUFOULEUR. “I like the wines more in the length that over the width” Parole of a great tenor: Mr. Hubert de Montille. For Jean-Marc DUFOULEUR, all is known as. The style is affirmed by the practice of the whole vintage, always source of merry pushed adrenalin, but the hand is soft to leave the greatest place to Terroir. The tastes are personal business. Some will be addicts with the young wines, on crunching, when others are in search for complexity. The old years being done rare, the winegrowing estate constituted a collection of worthy, pilot years of time that it made, and of the time which passes. 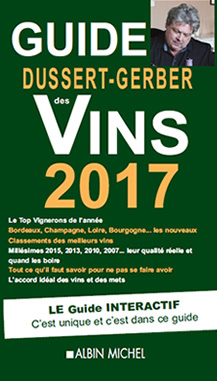 With the winegrowing estate, the 2017 announces excellent invoice, and if the two next decades were to be the equal one of the two last, there would not be to carry felt sorry for, so much nature cherished Bourgogne. The 2016 are a very beautiful year, very near of the 2010, solar but not too, powerful but not too, never molten enough. The 2015 have very for him. Generous and silky, its power flirts with elegance. It is a large number. And that to say of the 2014 and 12, the 11 and 9… It is beautiful, they are good. It is race and there is wine. Of color crimson or tuilée, exciting flavors of violet, blackcurrant, musk, spices or of under wood, rich of tannins silky and tasty, opulent, flexible, powerful or fatty, but always been used for table, the choice of the wine, here, is nothing any more but business preferably, and of circumstance. Each one will know how, and more than all, with which, to divide its DML.